By Grant T. Moher, Esq. 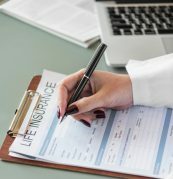 Divorcing parties have essentially always been able to agree to maintain life insurance for one another, and for the court to enforce those agreements. 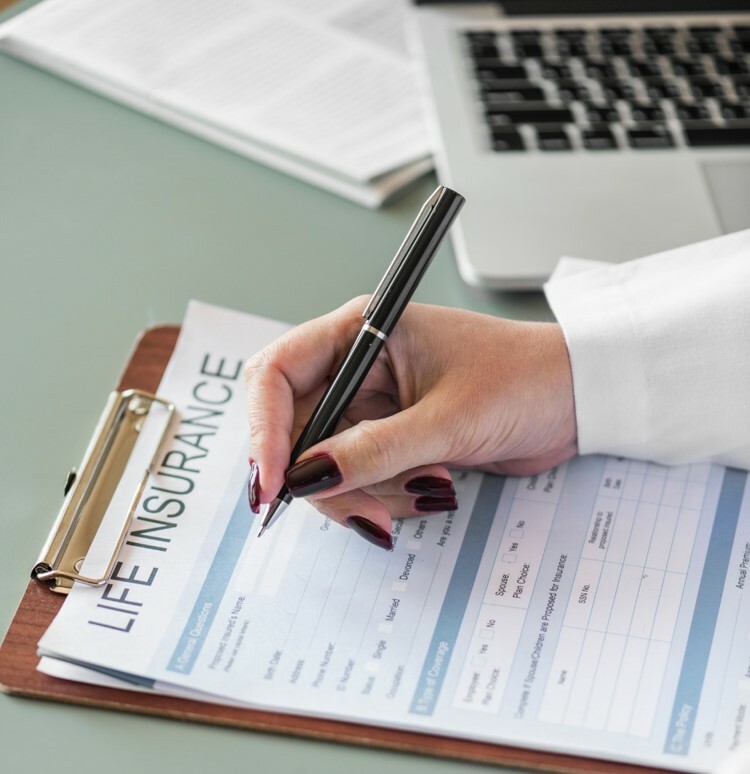 Until recently, though, Virginia courts have not had the ability to require a spouse to maintain life insurance for the other absent the parties’ agreement. Now, section 20-107.1:1 of the Virginia Code is in effect, and Virginia courts have the ability to require spouses paying support to maintain a policy of life insurance to benefit the recipient spouse. Virginia has a large federal workforce, and federal employees are covered by the Federal Employees’ Group Life Insurance Program (“FEGLI”). Under section 20-107.1:1, can a court now require a federal employee who has a spousal support obligation to name his or her former spouse as a beneficiary of some or all of his or her FEGLI policy? The answer is yes. I have spoken to a great many family law practitioners who are not aware of the current federal laws regarding FEGLI, and who believe that state court orders requiring the designation of beneficiaries on FEGLI policies are not enforceable due to the law of federal preemption. While this was once true, it is no longer the case and has not been the case for 20 years. In Ridgeway v. Ridgeway, 454 U.S. 46 (1981), Army Sergeant Ridgway and his former wife got divorced in Maine. 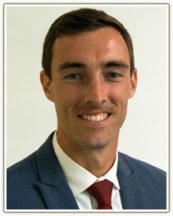 The Maine divorce decree required Sergeant Ridgway to maintain the parties’ three children as beneficiaries on his Servicemembers Group Life Insurance (“SGLI”) Policy provided to him through his employment with the Unites States Army. Sergeant Ridgway remarried and changed his SGLI policy to provide for payment of the death benefit to his new wife. Sergeant Ridgway died, and the state court had to confront the question of who should receive the death benefit. Ultimately, the United States Supreme Court held that the death benefit must be paid to Sergeant Ridgway’s new wife, because to hold otherwise would run afoul of the Supremacy Clause of the United States Constitution, which dictates that federal laws trump state laws where there is a conflict between the two. In so holding, the Court found that the federal law of SGLI, which provided that a servicemember’s beneficiary designation controlled how his or her SGLI benefits were paid, trumped the Maine state court order requiring a different beneficiary to receive payments. At the time of the ruling, FEGLI operated essentially the same as SGLI, so at that time, a state court order requiring the naming of a life insurance beneficiary could not override the employee’s beneficiary designation on file with the Federal Government’s Office of Personnel Management (“OPM”). The Federal Employees’ Group Life Insurance (FEGLI) law sets an order of precedence for payment of benefits following the death of an insured employee, annuitant, or compensationer (5 U.S.C. § 8705). First in the order of precedence is a designated beneficiary. There has been no statutory limitation on changing designations. When a divorce decree requires an individual insured under FEGLI to name his/her children or former spouse as the beneficiary, it is possible the individual may not comply or may comply and then change the designation at a later date. This action, while potentially in violation of the court order, did not violate the FEGLI law. Pub. L. 105-205, 112 Stat. 683, enacted July 22, 1998, requires benefits to be paid in accordance with the terms of a court decree of divorce, annulment, or legal separation, or the terms of any court order or court-approved property settlement agreement relating to a court decree of divorce, annulment, or legal separation, regardless of whether or not the insured individual actually completes a designation complying with the court order, if the court order is received in the appropriate office before the death of the insured individual. To the extent provided in the court order, the court order supersedes any prior designation by the insured individual. Pub. L. 105-205 also prohibits an insured individual from changing his/her designation, unless the person(s) named in the court order agrees or unless the court order is subsequently modified by the court that originally issued it. Why, then, do so many practitioners believe that court orders directing FEGLI beneficiaries can be overridden? The answer likely lies with the Federal Government’s published Handbook for Attorneys on Court-ordered Retirement, Health Benefits and Life Insurance. However, the handbook was last updated in 1997 – a year before Public Law 105-205! The Federal Government has simply never gotten around, in the last 20 years, to updating the Handbook to reflect the current state of the law regarding FEGLI beneficiary designations. It should be noted, however, that the Federal Government does not appear to have enacted a provision similar to Public Law 105-205 for the SGLI policies that cover military members. Thus, a court order requiring a divorcing Servicemember to designate his or her former spouse as a beneficiary under his or her SGLI would not survive the Servicemember’s later decision to change his or her beneficiary. It is essential to hire a divorce attorney who is knowledge about the nuances and complexities of family law. The experienced attorneys at Curran Moher Weis make a point to stay up to date on these matters, and to serve as an educated, supportive guide for our clients as we navigate their divorce together. If you are a federal government employee or spouse pursuing a divorce, contact us to discuss a plan that will set you up for as successful and painless of a process as possible. Oftentimes, during marriage, parents make financial plans for their children’s future, particularly their educational future. Considering the rising costs of higher education, many parents believe this to be an essential part of their financial plan during their marriage. The question, however, is what happens to these types of accounts when two parents decide to divorce? A 529 Plan is similar, except that the funds accumulated in the account are owned by the parent or custodian and must be used specifically for a child’s qualified education expenses, such as tuition and fees and room and board. As the parent controls the funds in the account, use for any other purpose may result in penalties and tax consequences. While there are many other features of these accounts, it is best to speak with a financial professional to ascertain the pros and cons of each. Specifically, each account has different tax advantages and consequences. For purposes of divorce, college savings accounts, such as 529 Plans, may be subject to property division. Pursuant to Section 20-107.3 of the Code of Virginia, any asset earned or acquired during the marriage by either spouse is presumed to be marital property subject to equitable distribution. Oftentimes, a college savings account falls under this categorization because the parties created and contributed to the account during their marriage. 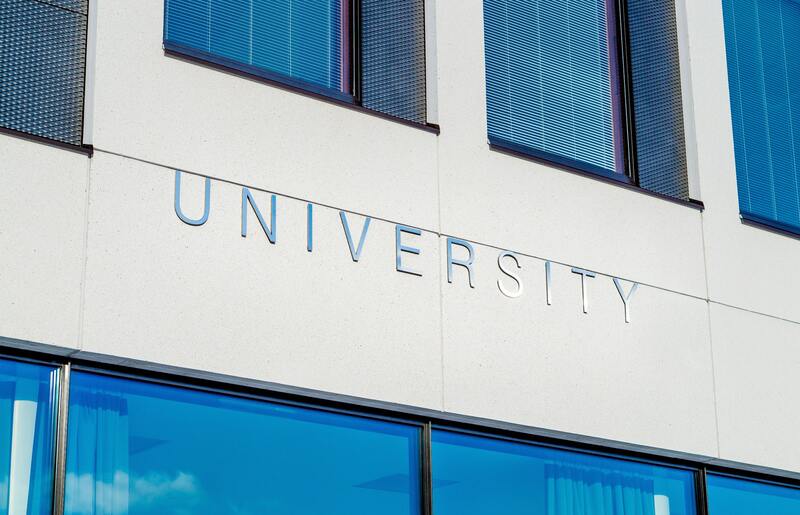 In addition, some Virginia courts have held that because the 529 Plan can be revoked (albeit not without penalty or negative tax consequences), a 529 Plan is similar to a savings account that would otherwise be subject to equitable distribution. Further, because a Virginia court is unable to distribute property in a divorce to a non-party, which in this case would be the parties’ child or children, the court cannot order that the 529 Plan or the funds held in such an account be given to the parties’ child or children. This is somewhat perplexing to many clients, who view the funds accumulated in a 529 Plan as money that belongs to the children. In that case, the parties may reach a settlement that directs that one parent remain the custodian of a child’s 529 Plan and that the parties agree that the funds will not be withdrawn for any purpose other than for the child’s qualified education expenses. The parties may also add terms in any such agreement about any continuing periodic contributions to the 529 Plan, an age cap at which the funds must be used for the child’s education expenses, and what will happen with excess funds held in a 529 Plan, or agree to exchange statements for a child’s 529 Plan on a regular basis so both parents, even after divorce, are kept informed. UTMA accounts, on the other hand, may not be subject to division in a Virginia divorce. Because the funds held in a UTMA account are gifted to the child and are the property of the child for which the account is held, the funds are not part of the marital estate. As such, the funds held in a UTMA account may be sheltered from equitable distribution in a divorce. That being said, everyone’s financial circumstances are different, and there are many options for addressing 529 Plans and UTMA accounts in a divorce. So, it is important to discuss your particular case with an experienced family law attorney who can explain all options to you. For the 7th consecutive year, Curran Moher Weis will sponsor the Annual Heroes vs. Villains Run for Justice 5K – and in 2019, serve as the main, Superhero-level sponsor of the event. This will be a milestone year, marking 10 years that the Fairfax Law Foundation has hosted the race, which supports pro bono legal service programs for Fairfax County residents who could not otherwise afford representation. The Foundation’s program also provides legal education programs and interactive activities for area students. Curran Moher Weis has sponsored the event every year since our inception in 2012, as part of our effort to give back to the Northern Virginia community we serve. Our exceptional attorneys and staff will be out in full force at the event – running, volunteering and cheering on race participants. Stop by the Curran Moher Weis booth for even more fun, including games and activities to keep children – and adults – occupied before and after the race! And follow us on Twitter (twitter.com/curranmoherweis) or Instagram (instagram.com/curranmoherweis) for the latest news, and photos, leading up to and on race day. Register to run, or sign up as a volunteer. A New Year is almost upon us, and couples going through a separation or divorce this season are likely experiencing the difficulty of agreeing to holiday custody and visitation agreements. With a New Year comes another 12 months of special days that divorcing, or divorced, parents have to determine how to manage – from Christmas, to Federal holidays that result in long weekends, like Martin Luther King, Jr., Day and President’s Day, to children’s birthdays and summer school breaks. As you plan for the year ahead, this blog will help you better understand how holiday visitation schedules work for these unique situations. Often, parents want to evenly divide Federal Monday holidays (e.g. Martin Luther King, Jr. Day, President’s Day, Memorial Day, Labor Day, etc.) – even if the weekend that Monday follows was spent with the other parent. Unless there is a very important reason for this, it is typically better for children to spend Federal Monday holidays with the parent with whom they spent that adjacent weekend. This facilitates out-of-town travel and activities that may run from the weekend into the holiday and makes it easier on and less disruptive to the children. Sometimes parents want language in an agreement obligating both parents to share time with the children on their actual birthdays or celebrate the birthdays together. There are important factors to consider to make this approach work. If parents are getting along well enough to have a joint birthday party for the children, they don’t need an agreement to force them to do it. If parents do not have such a relationship, forcing a joint party or negotiating a split of time on the actual day can result in a tense and unpleasant atmosphere. If parents aren’t on terms that allow them to have an amicable joint celebration, a better scenario is for each parent to have an individual celebration for the child on his or her time, such as on the nearest weekend. Commonly during summers, parents will each have some uninterrupted weeks with the children. Depending on the level of cooperation between the parents, agreements may need to include provisions for how those weeks will be determined. In situations where parents are likely to disagree on weeks, there are several methods of resolving disputes. For example, some choose to state that in odd-numbered years (2019, 2021, etc.) one parent’s chosen weeks take precedence, and in even-numbered years the other parent’s preferences take precedence. Another possibility is to require that a parent’s week start and end on a particular day that encompasses his or her already-scheduled weekend. The upside to this approach is that it is impossible for the parents to schedule weeks that conflict with each other. The downside is that a major event (e.g. a wedding or family reunion) may fall outside of these potential weeks. Since events come up, and other situations could occur that need advance planning, such as summer camps, I typically advise parents to give notice of their chosen weeks as early as reasonably possible in the New Year. There is nothing to guarantee both parents will agree to those weeks and that further issues won’t arise, such as when parents do not provide ample notice of their preferred weekends, language can be built into agreements to get ahead of this. Where parents have a regular schedule that involves alternating weekends and the custody schedule provides that Thanksgiving encompasses both the holiday and the weekend immediately following it, one party or the other can end up having three weekends in a row with the children. This happens if one parent’s Thanksgiving falls on the other’s weekend. Sometimes parents are fine with this. However, if they are not, the good news is there are multiple ways to solve this. One way is to make Thanksgiving encompass only the Wednesday through Friday of the holiday and not the weekend. This solves the problem of three weekends in a row, but this may not be desirable when one or both parents customarily travel over the holiday and want the entire weekend to do so. Another option is to “reset” the schedule if it were to result in one parent having three weekends in a row, such that the weekend immediately following Thanksgiving weekend would switch to the parent who did not have the children over Thanksgiving weekend and the weekend immediately prior to it. It is customary in custody schedules to make provisions for spring break. Children and their parents often travel during this week as it is normally the longest break schools have between winter break and summer recess. Some custody schedules alternate the entirety of spring break each year and some schedules split the spring break in half, with each parent having time with their children. Whether you choose to alternate or split spring break, it is critically important to define exactly which days spring break covers. Most school calendars define spring break as the Monday through Friday of the week, leaving off the weekends. Thus, if the intention is to include the immediately preceding or following weekend, the custody schedule must clearly define this. The same is true if the custody schedule splits the spring break week in half; parents need to know what the start and end date is to calculate the halfway point. 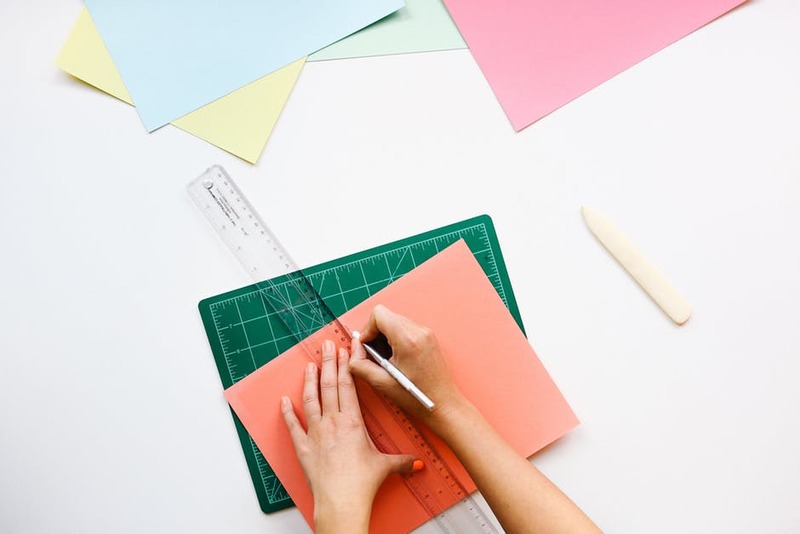 While holiday/summer schedules can be adjusted in virtually any way, sometimes people want to begin with a generic template to give them an idea of how to start. The following is a common schedule that can be modified, and can at least give a basic idea of how such schedules can look. Note, the following is provided for example purposes only. Visitation schedules must be developed and tailored to meet the unique needs of each couple and their child(ren). It is important to seek support from a family law attorney with extensive experience counseling on the best visitation schedule for you. Holiday visitation shall be as set forth below. To the extent that the holiday visitation set forth below conflicts with the regular weekly custodial schedule, the holiday visitation shall supersede it. The parties shall alternate the children’s school Spring Break each year, defined as 5:00 p.m. on the Sunday after school releases until 5:00 p.m. the Friday before school reconvenes. Father shall have Spring Break in even-numbered years. Mother shall have Spring Break in odd-numbered years. Thanksgiving shall be defined as the time school lets out on the last day of school before the Thanksgiving holiday until 5:00 p.m. on the Friday immediately following the holiday. Mother shall have the children for Thanksgiving in odd-numbered years. Father shall have the children for Thanksgiving in even-numbered years. The children’s winter break from school shall be divided in half. In odd-numbered years, Mother shall have the children for the first half of the winter break, and Father shall have children for the second part of the winter break. In even-numbered years, Father shall have the children for the first part of the winter break, and Mother shall have the children for the second part of the winter break. The parties shall alternate the Fourth of July holiday each year, defined as 10:00 a.m. on the holiday until 10:00 a.m. the next morning. Mother shall have Fourth of July in odd-numbered years. Father shall have Fourth of July in even-numbered years. In all years, Father shall have the children from 9:00 a.m. until 5:00 p.m. on Father’s Day. In all years, the mother shall have the children from 9:00 a.m. until 5:00 p.m. on Mother’s Day. Each parent shall have the children for two (2) uninterrupted weeks during the summer, which may be taken consecutively. Each parent shall designate their week by April 1st each year. If the parties’ chosen weeks are in conflict, mother’s choice shall control in odd years and Father’s shall control in even years. Unless otherwise agreed in writing, weeks shall start at 5:00 p.m. on the Friday beginning a party’s weekend, and continue through the following Friday at 5:00 p.m.
Visitation schedules can be complicated and can cause tensions to run high amongst parents. The attorneys at Curran Moher Weis have decades of experience in guiding parents through negotiating a custody and visitation schedule that is optimal for parents and most importantly, their children. Contact us for more information, and check back on our blog regularly for the latest advice on this and other important divorce and custody matters. By: Demian J. McGarry, Esq., and Nicole Grejda, Esq. This is the first in a series of blogs Curran Moher Weis attorneys will be publishing on divorce and child support involving children with special needs. We invite you to bookmark our blog and check back regularly for further input on this important topic. If you have a child with special needs, you already face a great deal of unique challenges. Those challenges become increasingly complex if you are also navigating a divorce and/or a child custody, visitation, or child support determination in Virginia. At Curran Moher Weis, we believe that when a marriage or partnership involving children dissolves, it is of the utmost importance to consider solutions that benefit the child(ren) – especially those with special needs. That starts with ensuring you have an experienced family law attorney who understands the complexities of these issues and can help you understand them as well. This blog series will shed light on this special area of focus for our firm. In divorce cases in Virginia, the court is asked to determine a custody and visitation schedule that is in the best interests of the child. When a child has special needs, several points of consideration factor into the court’s decision. One factor the court must consider is “the age and physical and mental condition of the child, giving due consideration to the child’s change developmental needs.” This means the court will consider how experienced and knowledgeable a parent is regarding the administration of medication to the child, how involved a parent is in the child’s necessary services, such as individualized educational programs (IEPs) and occupational, physical, or mental health therapy, and how much time a parent can devote to the daily care of the child. If parents are conflicted about how to care for a child, the court may consider which parent has acted in the child’s best interests to that point, and which parent articulates the best plan for the child going forward. The court will also consider how prepared and able each parent is to have the child with him or her. The court is commonly asked to determine the appropriate amount of child support payable by one parent to the other for the benefit of the child, under “guidelines” set forth in Virginia Code Section 20-108.2. The amount of support calculated with those guidelines is presumed correct unless there is relevant evidence that a deviation would be in the best interest of the child based on factors set forth in Section 20-108.1(B). One factor that must be considered pursuant to Section 20-108.1(B)(8) is “any special needs of a child resulting from any physical, emotional, or medical condition.” A court may consider, for example, the cost of medication, medical equipment, nursing services in the home, medical transportation, and the cost associated with treatment plans. Although child support typically terminates when a child reaches the age of majority or otherwise emancipates, for a special need child, child support can be extended for significantly longer. For example, pursuant to Virginia Code Section 20-124.2(C), the court may order that child support continue to be paid for any child over the age of 18 who is: (a) severely and permanently mentally or physically disabled, and such disability existed prior to the child reaching the age of 18 or the age of 19 […]; (b) unable to live independently and support himself; and (c) residing in the home of the parent seeking or receiving child support. While we’re sharing these codes of Virginia law as information to know about these issues, don’t worry about remembering them. That’s our job. The court may also order that child support payments be paid to a Special Needs Trust or an ABLE account. Special Needs Trusts are often created to address the unique needs of the child and to ensure that child support payments or other funds are used to meet those unique needs. Special Needs Trusts also provide an additional benefit: if money is held in a Special Needs Trust for the benefit of the child instead of being paid directly to the child to meet his or her living expenses, then the child is not deemed ineligible to qualify for government benefits such as social security income and/or Medicaid. A child will therefore be able to receive support from the Special Needs Trust in addition to any applicable government benefits. An ABLE account is a tax-advantaged savings account for a person who becomes disabled prior to the age of 26. 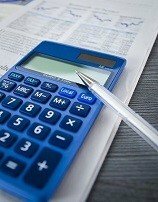 As long as the funds held in the ABLE account are used for “qualifying expenses,” then the earnings on the account investments are not taxed. Similar to a Special Needs Trust, funds in an ABLE account do not risk the child being deemed ineligible to qualify for government benefits. Provides financial assistance to meet basic needs for food, clothing, and shelter. Parents also need to be aware that in Virginia, a custodial parent’s receipt of SSI benefits for a special needs child does not entitle the non-custodial parent to a credit or reduction in their child support. SSI benefits received for a child are designed to supplement other income, not substitute for it. Medicaid waivers can be a critical element in the care plan for a physically and/or intellectually challenged child. A Medicaid waiver is a provision in Medicaid law which allows the federal government to waive rules that usually apply to the Medicaid program. The intention is to allow individual states to accomplish certain goals, such as reducing costs, expanding coverage or improving care for certain target groups. Thanks to these waivers, states can provide services to their residents that wouldn’t usually be covered by Medicaid. For instance, in-home care for people who would otherwise have to go into long-term institutional care. the Individual and Family Support Waiver. Coverage under these waivers may provide for in-home attendant care, respite care and nursing care at various levels. Attendant care is direct support in the home and community with personal assistance, activities of daily living, using the community, taking medication and care of other health needs. They can either be provided by an agency or by consumer-directed services. Consumer-Directed Services offer the individual/family the option of hiring workers directly, rather than using traditional agency staff. Respite care services provided for unpaid caregivers (e.g. parent) of eligible individuals who are unable to care for themselves that are provided on an episodic or routine basis because of the absence of or need for relief of those unpaid persons who routinely provide the care. To put it simply, respite care provides the much needed physical and mental health breaks for the caregiving parent so they can leave the home. Parents should maximize benefits available to them under the waiver as coverage can significantly reduce the out-of-pocket unreimbursed medical expenses that they may otherwise be obligated to pay under a child support order. The scope of the unreimbursed medical expenses statute contained in Virginia Code §20-108.2(D) is broad enough to cover attendant and respite care. Special needs issues in divorce, custody and child support situations continue to increase. Often, these issues create a mine field for families trying to navigate this very complicated and niche area. Consultation with a family law attorney who is familiar with special needs issues can ensure that your interests are protected and objectives maximized. 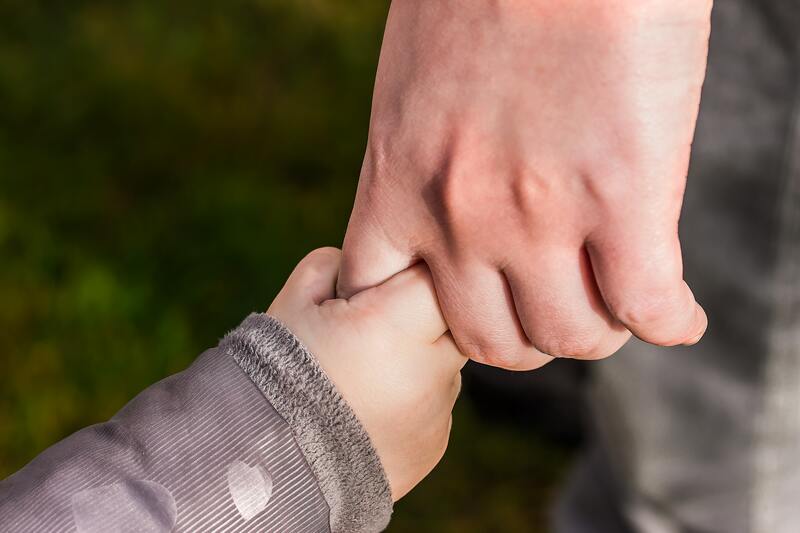 Curran Moher Weis attorneys are dedicated to supporting parents of children with special needs, and have decades of experience successfully guiding them through these complex matters. Contact us to set up a consultation, and stay tuned for future posts, as we help you learn more about this important topic. The simple answer is, in the rare situation when an annulment is granted, it is as if no marriage ever existed. Under Virginia law, there are only a few grounds for an annulment of marriage. Rarely do those apply to most couples, leaving divorce as the only legal means to end their marriage. Now, let’s get a bit more technical. Under Virginia law, a party can file a suit for annulment under very limited circumstances. First, there may be grounds for an annulment if the parties did not follow the proper procedure for getting married, which requires obtaining a license and solemnizing the marriage. An annulment may also be granted when the marriage itself was void for one of the following reasons: (1) the marriage was entered into before an existing marriage for either party had been legally dissolved; or (2) a marriage was entered into between related individuals, including an ancestor and descendant, brother and sister, or uncle/aunt and niece/nephew. Found to have been involved in prostitution without the knowledge of the other party. A party cannot obtain an annulment if the party seeking an annulment has cohabitated with the other party after knowledge of the facts that party is basing his or her claim for annulment on. A suit for annulment is also unavailable when the parties have been married for at least two years. If the few limited grounds for annulment do not apply, then a party must end his or her marriage through a divorce proceeding. Even if a party believes he/she has grounds for annulment, it is important to note that most grounds render the marriage as voidable as opposed to outright void – meaning even then, there is no guarantee that a court would grant an annulment. There are certainly different implications of proceeding with an annulment versus proceeding with a divorce. If there are children, a party can still seek custody and child support, just like any other unmarried parent. However, in those cases, a court has no authority to award spousal support or divide the parties’ assets and debts if it annuls the marriage. Because of the complexities involved in annulments vs. divorces, it is important to clarify the difference early on in a consultation. If you find yourself in this situation, set up a consultation with one of Curran Moher Weis’ family law attorneys to determine whether your marriage dissolution qualifies as an annulment or divorce, and we’ll set you on a path to the most effective resolution. Follow the latest on divorce and family law in Northern Virginia and the D.C. Metropolitan area at our blog or by following us on Twitter at twitter.com/curranmoherweis.